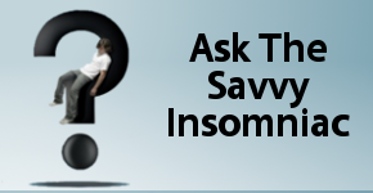 I’m leery of many products marketed to people with insomnia. But there are a few sleep-related products I’ve found to be helpful—or that research suggests hold promise. They’re inexpensive and would make nice holiday gifts for friends or loved ones who have trouble with sleep. Sleep tracking devices like Fitbit and Jawbone Up? Think twice. 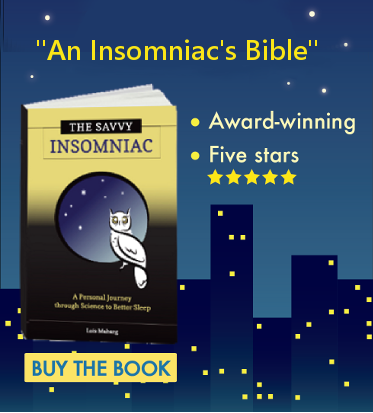 They may acquaint you with sleep and activity patterns, but the sleep-coaching component is not going to offer any more than advice on sleep hygiene or insomnia therapies like CBT. Wicking sleepwear: Night sweats can cause frequent wake-ups, but awakenings can be reduced with pajamas designed to absorb moisture and transfer it to the outer surface of the fabric. Several microfiber fabrics now have the comfort and feel of cotton and were developed to keep wearers cooler and drier. Cool-jams, for example, offers a line of washable, wicking pajama sets. Most sell for under $70. Foot Warmer: This fleecy, portable pocket measures about 2 by 3 feet. Plug it in, position it on the floor or a bed, place feet inside, and heat it up. The foot warmer is an especially good idea for those who struggle to get to sleep at the beginning of the night. Dilating blood vessels in the feet–which occurs during heating–allows for the swift release of body heat and a lowering of core body temperature, in turn promoting sleep. Frontgate and Brookstone sell foot warmers for about $50. Backlit alarm clock that’s invisible at night: If she’s counting sheep, she’s probably also a clock-watcher, prone to stealing glances at the clock on her bedside table and counting the hours until she has to get up. A backlit alarm clock that’s invisible at night solves the problem. At night, it displays the time only if pressed on top; otherwise, the clock face is black. Removing time cues cuts down on anxiety and in turn may hasten sleep. Casa and Brookstone sell them for under $26. SleepPhones: This one-of-a-kind item is a cut above other products designed to deliver music or white noise into the ears of the sleepless and lull them to sleep. Ear buds can be uncomfortable at night, but these wafer-thin speakers encased in a soft fleece headband are virtually undetectable. Via thin cables, the speakers plug into a CD player, MP3 player, or an iPod. SleepPhones cost $39.95. The wireless variety costs $99.95. Haven’t found the gift you’re looking for? Try these ideas. Wow, great gift ideas Lois! Thanks!